For more information about Energy and Economics at Heriot-Watt University, please visit the webpage using the button above. MSc Energy and Economics is an innovative, new degree programme grounded in the cutting-edge, globally recognised, economic research carried out by Heriot-Watt University on behalf of the energy sector. This programme provides a detailed overview of current energy issues, teaching you to apply core tools of economic analysis to the conversion and use of energy resource. You will develop a bespoke set of skills that will enable you to effectively measure and interpret the environmental and socio-economic impacts of the energy sector. You will also learn how to effectively analyse, appraise and design energy policy, systems and equipment from an economic perspective. You will gain highly-employable specialist knowledge that is crucial within the energy industry. This Energy and Economics Master's Degree will prepare you for a dynamic career as an energy consultant, or for a graduate job in energy economics across: business, government regulation and environmental NGOs. The dual-focused programme is ideally suited to graduates with an engineering or strong analytical background in subjects such as mechanical engineering, mathematics or economics. The Economics department at Heriot-Watt has close links to industry-leading organisations such as the World Bank and British Petroleum (BP). You will have access to a number of key industry figures such as Spencer Dale (Chief Economist at BP) who delivers guest economics lectures at Heriot-Watt. Economists and academics with expertise in the fields of energy, the environment and developing economies will lead your learning. They bring extensive real world experience to the programme from their work with business and global policy makers. Each year our researchers and academics work closely with BP preparing data for their annual BP Statistical Review of World Energy. This is a highly regarded document used by energy experts, industry leaders, academics and journalists all around the world. This specialist programme allows you to shape your learning to best meet the needs of your personal career-development. It is intentionally flexible. You will complete two mandatory courses and choose six further options from a suite of over 20 specialist energy and economics courses. 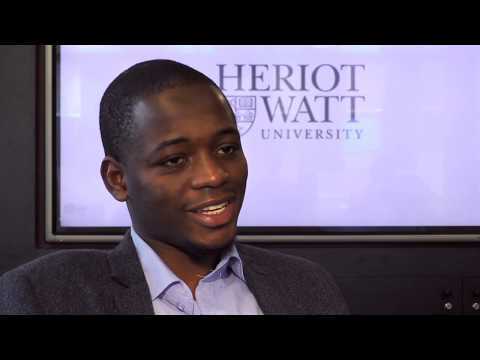 It is widely considered that Heriot-Watt University offers some of the best Economics degrees in Scotland and the UK. The student experience at Heriot-Watt is no-doubt boosted by the unique setting of our campus. Immersed in the Scottish countryside, our student experience offers the best of both worlds thanks to its location just outside the UK's second largest financial hub: Edinburgh, which was recently voted the 'best city in the UK to live' for the third year running (National Newspaper Poll: The Telegraph). Our excellent reputation for Economics is primarily the result of our dedication to fine-tuning the details of our programmes. Our programmes are underpinned by the latest research from our three dedicated research centres for Economics. For example, much of the course content on our Energy and Economics MSc is directly informed by the research carried out by Heriot-Watt's Centre for Energy Economics Research and Policy (CEERP). This ensures that MSc Energy and Economics maintains its position as a cutting-edge, industry-focused Master's degree. CEERP has been established in partnership between Heriot-Watt University and BP PLC to provide research support to BP and to conduct long-term research into energy economics and markets. We are at the forefront of innovation among UK universities when it comes to the promotion and communication of energy research activities. This is thanks to our Energy Academy, a virtual learning centre used to connect all energy related research across the university. This gives our Postgraduate students direct access to the latest research carried out across Heriot-Watt University's three dedicated energy research centres which study: Energy Generation, Conversion and Storage; Intermittency of Supply, Storage and Control; and Energy Policy and Strategy. A good Honours degree (first or second class) in Mechanical Engineering, another Engineering degree, Economics, Mathematics, or a degree in another quantitative discipline. If your first language is not English, or your first degree was not taught in English, we'll need to see evidence of your English language ability. The minimum English language requirement for entry to this programme is IELTS 6.5 (or equivalent) with no component lower than 6.0.